This post is part of a five-part series providing an overview of Power2Peer’s clean energy marketplace, a blockchain-secured trading platform where producers and consumers can exchange clean energy kilowatts for fair market value. Learn more about Power2Peer’s mobile app, P2PConnect, and join the green energy revolution! Over the past decade, the cost of solar has fallen dramatically. More and more people are installing or considering installing solar panels atop their homes or businesses. While solar power is better for the environment, solar panels also offer a financial return. But how exactly do these panels work to collect energy, and how do they add value to your home? The core technology contained by a solar panel is known as a photovoltaic cell. When sunlight hits a solar cell, an element, typically silicon, becomes excited by the addition of photons. This excitement produces a current as electrons travel between oppositely charged particles. That direct current then travels from the solar panel into your home, where it is happily consumed by your appliances. In addition, there are times when solar panels produce more energy than your home needs. Depending on your location, these kilowatts may flow back to the grid in exchange for a credit on your electric bill. 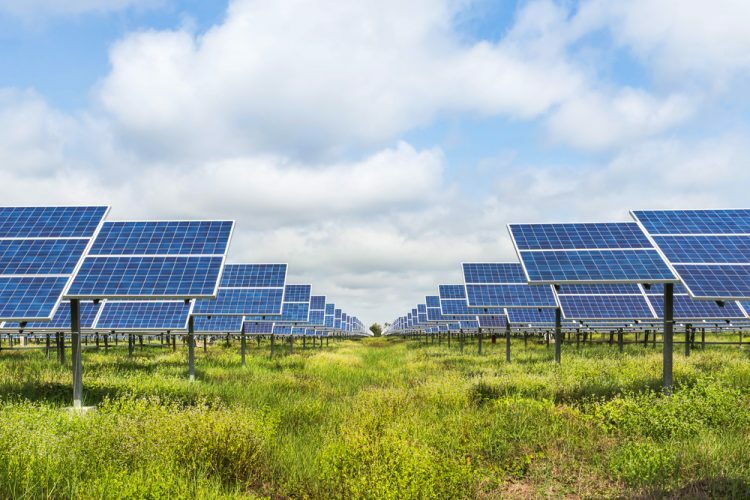 Another alternative is offered by solar microgrids, which integrate smaller solar installations into a network where energy can be exchanged for fair market value. Stay tuned for part 2 of this series, where we will dive into the value of solar microgrids to the solar community. To better explain how residential solar works, we leave you with an infographic provided courtesy of The Zebra. Check out their website for more information about residential solar. For more information on Power2Peer’s clean energy marketplace, click here.